The Provost Lecture Series offers students, faculty, staff, and the public the opportunity to interact with groundbreaking scholars who deliver graduate lectures, public lectures, and attend intimate receptions for Emory's academic community. This effort supports inquiry and collaboration on the Emory campuses and beyond. We're pleased to announce the distinguished speakers who will join us for the Provost Lecture Series during the next academic year. Please watch for more information to come about lecture times and RSVP links. 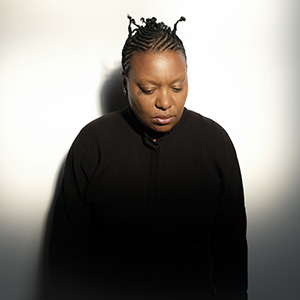 Meshell Ndegeocello eschews genre for originality, celebrity for longevity, and musical trends for musical truths. Her investigation of sound and her reimagining of others' music afford not just a new musical experience but remind us to defy the narrow expectations of sounds and structures for black artists overall. Deborah Tannen, author of "You Just Don't Understand: Women and Men in Conversation," brings expertise in documenting how everyday conversations affect relationships. In addition to her eight books for general audiences, Tannen is author or editor of 16 books and more than 100 articles for scholarly audiences. 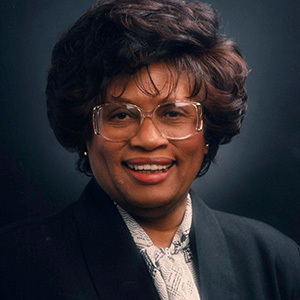 A pediatrician and public health administrator, Joycelyn Elders is outspoken about health, health care, sexuality, and AIDS. She was the 15th U.S. Surgeon General and first African American woman in that post, as well as vice admiral in the Public Health Service Commissioned Corps. Eddie S. Glaude Jr., William S. Tod Professor of Religion and African American Studies and chair of the Department of African American Studies at Princeton University, delivered an address, "The Magician's Serpent: Race and the Tragedy of American Democracy." Joy Buolamwini, founder of the Algorithmic Justice League and graduate researcher in the MIT Media Lab, examined harmful bias in code and artificial intelligence in her talk, "Dangers of the Coded Gaze." Carrie Mae Weems, an award-winning artist working in media including photography and video installation, examined the complex and contradictory legacy of African American identity, class, and culture in the United States in her talk, "A History of Violence-Heave."